Polonnaruwa – or to use its proper name, the royal ancient city of the Kingdom of Polonnaruwa – is the second oldest of Sri Lanka’s ancient kingdoms (after Anuradhapura), and was made the capital of the island in 1070 by King Vijaybahu I. Polonnaruwa is home to the extensive ruins of a medieval civilization which have been incredibly well-preserved and are still awe-inspiring to see. 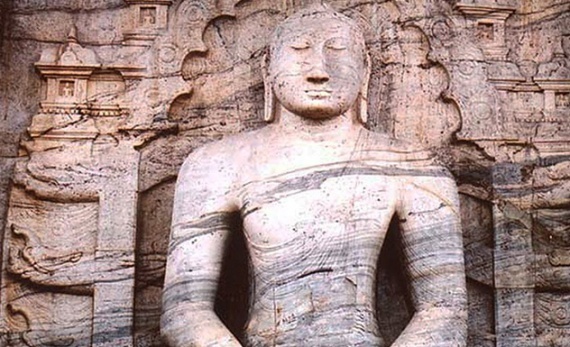 As well as ancient palace ruins and the remains of Buddhist and Hindu shrines, there are four breathtaking statues of Lord Buddha at Gal Vihara, a colossal dagoba and the ‘Satmahal Prasada’ – a seven-storey edifice which has such unusual architecture that modern-day historians remain baffled. Towards the end of the period where Polonnaruwa was used as Sri Lanka’s capital, the kingdom was reigned by a Pandyan king from South India.